In part 1 of this series, we started off with a list of basic ways to avoid common workout injuries. We gave you a to-do list that included several instructions like warm up properly and seek guidance from experts. In part 2, we will begin with a basic list of things you should avoid before working out. A wrist sprain is an injury to the ligaments, often as a result of overstretching or tearing. Graded from mild to severe, wrist sprains can result from falls, twists or impacts to the wrist. Exercise – Wear protective gear like wraps, tape and wrist braces when you are working out, doing sports or participating in an activity that could result in a strain on your wrist. Warm up and stretch properly. If you have had wrist sprains in the past, take extra time to warm up and stretch your hands, wrist and arms. Avoid — The most common cause of wrist injuries are falls. Avoid falls by wearing proper shoes, avoiding slippery surfaces and learning how to fall correctly. The best way to learn to fall is to practice at home or to take a martial arts class. 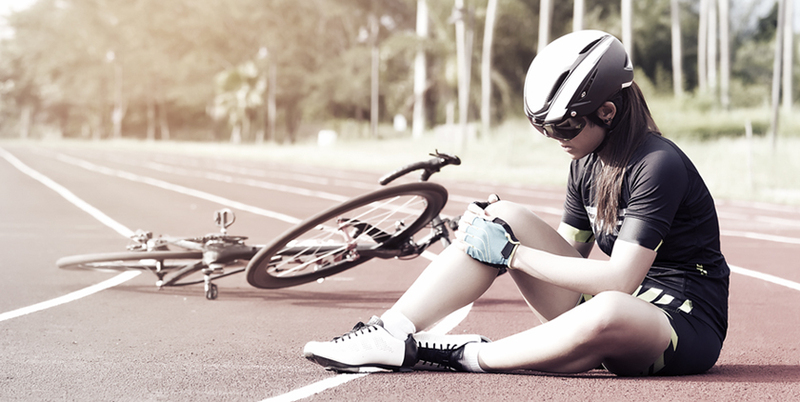 The basics of learning to fall is learning to relax, as a tensed body results in more injuries. Remember to try and relax the body as much as possible and to breathe to avoid tensing muscles before impact. Knee injuries can happen as a result of our lifestyle, age and sports. In general, knowing when to rest is important to avoid any kind of injury. If you are experiencing chronic knee pain, see a specialist. Take these steps to help you prevent knee issues. Exercise – To keep knees healthy, strengthen quadriceps, glutes and hip flexors. Try leg raises to strengthen quadriceps, glute bridges for glutes and lunges to strengthen hip flexors. Avoid – Try not to kneel or squat for prolonged periods of time. Wear good athletic shoes and a knee brace during strenuous exercises or when you feel your knees will be at risk. Shin splints are described as pain or inflammation of the muscle along the inner edge of your shinbone. It is more common in running sports and in activities that require jumping. People beginning or increasing the intensity of their exercise program are at a greater risk for shin splints. Exercise – To avoid shin splints, warm-up thoroughly before running. Also, be sure to wear proper running shoes and replace them when they begin to wear out. Avoid — Try to avoid running on surfaces that are too hard, uneven ground, or of a steep gradient—uphill or downhill. Wearing worn out running shoes can lead to injuries. Never skip your warm-up. Do not rapidly increase the intensity of your exercise program. Biceps tendinitis is an overuse injury that often happens to athletes who weightlift, swim, play tennis and golf. This injury is usually associated with a feeling of pain in the front of the shoulder that is aggravated with overhead lifting. Exercise –Mix up your workouts and try not to overwork one area. Get enough rest between sets and workouts. Throughout your workouts, maintain good posture. Avoid— Bad posture can contribute to workout injuries like biceps tendinitis. Avoid repetitive movements, especially overhead lifts. Always warm-up before exercising and never play through the pain. With the amount of sitting most people do between office jobs and long commutes in the car, lower backs are at risk. If you feel a sharp pain in your lower back during your workout, it may be a sign of strain. Exercise – Squats and deadlifts are two gym exercises that can both strengthen and threaten your lower back. Avoid rapid twisting motions, wear proper gear and always warm up before your workout. Beginner weightlifters should master form before adding weight. Ask a personal trainer for guidance. Avoid — Focus on form and avoid bad posture while working out. Do not overdo it with heavy weights. It is really important to limit long periods of sitting or being sedentary. If you missed the first part of our series, be sure to check it out: How to Avoid Common Workout Injuries Part 1. All readers are advised to consult their physician before beginning any exercise and nutrition program. Cutler Nutrition and the contributors do not accept any responsibility for injury sustained as a result of following the advice or suggestions contained within the content.